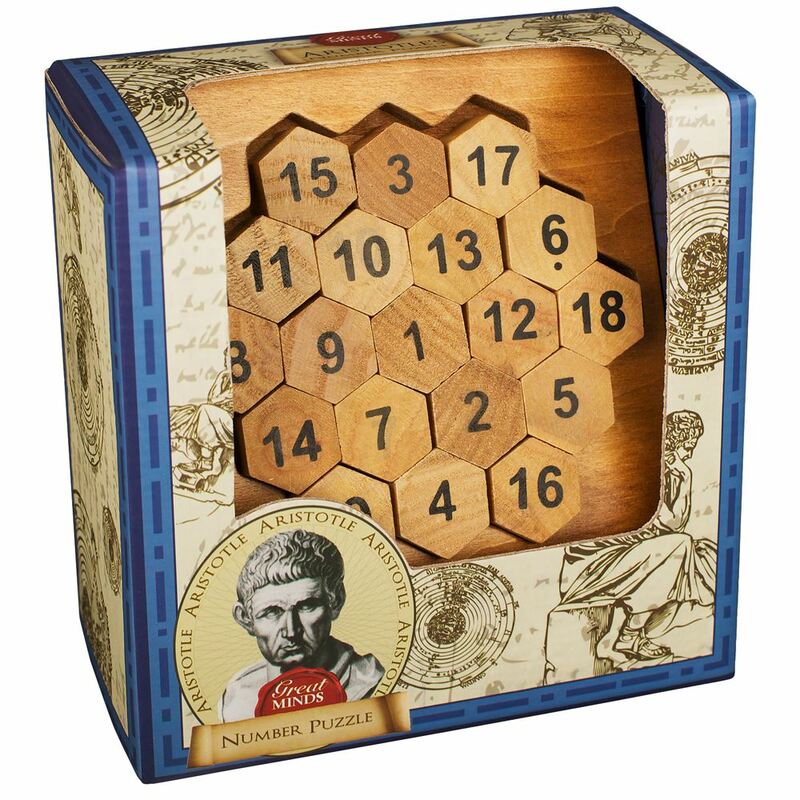 Master this challenging wooden brainteaser from Professor Puzzle - Aristotles Number. Can you make every row add up to 38? There are 15 rows in all directions to complete, each made up of 3, 4 or 5 pieces. Difficulty rating: 5 out of 5. Age 8+ years. Distributed in New Zealand by Holdson.